If you have ever suffered a tension headache you know that the throbbing pain can affect productivity and enjoyment of life. Imagine a life that is headache-free. Tension headaches are often caused by trigger points in back and neck muscles. The hunched forward posture of a computer athlete and hours of texting are enough to bring on these pain-inducing muscle spasms. A few simple techniques can reduce headache pain. DIY massage. Some of the headache causing muscles are located between the shoulder blades. 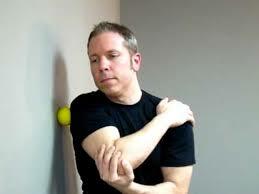 Apply pressure to these muscles using a tennis ball between the trigger point and the wall. Gently roll over the ball until the muscles soften. 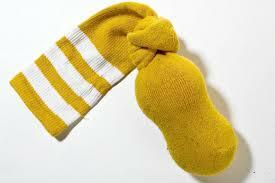 Take two soft balls, place them in a sock and tie a knot. Place the balls at the base of your head while lying down. The weight of your head will allow the balls to gently reduce tension in the neck muscles. Relief will soon follow. Relaxation. Lie on your back with your knees supported. Breathe deeply and evenly; during exhale, allow neck and shoulder muscles to soften. Massage for tension headaches: When quick fixes are not enough, consult a trained massage therapist. They will be able to trace your headache back to the pain-causing trigger points. A focused massage therapy treatment can isolate and reduce the trigger points that cause headaches. Pain relief is close at hand.